With more than 6,000 inhabited islands, and three times as many uninhabited ones, it’s easy to steer clear of the beaten path in Indonesia’s Ring of Fire. There are miles of pristine beaches, lovely coastline, unspoiled reefs, active volcanoes, primary rainforest, and extremely friendly people with rich and varied cultures. Better-known islands such as Bali and Java also possess a fascinating history at the crossroads of cultures, that are home to stunning temples, palaces, and world heritage sites. Indonesia has more unique creatures than any other place on earth—with diverse habitats where more than 1,600 species of birds and 500 mammals live, including elephant, rhinos, tigers and orangutans. 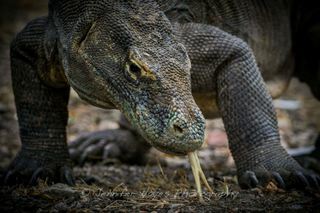 Komodo Island’s dry and rugged landscape is home to the equally fierce Komodo dragon. Take a ranger-led hike through the park to find these giant lizards in their natural habitat. The Indonesian side of the island of Borneo is tropical rainforest and the place to see the wild orangutans at Kutai National park. Visit a rehabilitation center where captured orangutans are re-introduced to the wild. There’s no better way to really discover Indonesia than by sailing in the wake of adventurers like Magellan, Cook and Wallace. You can experience the trip of a lifetime on a traditionally built Indonesian schooner that let’s you explore both uninhabited islands and meet islanders in places that are otherwise inaccessible, all in comfort and safety. From pristine coral reefs to schools of colorful fish at your fingertips, there’s another world to be seen in warm, clear waters of the Indonesian archipelago—whether you’re a first-time snorkeler or an experienced diver. 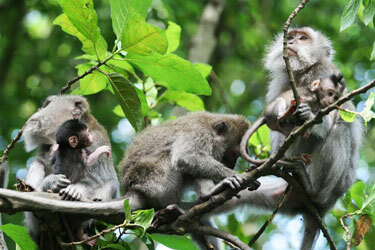 On the island of Lombok, explore the area around Mount Rinjani, Indonesia’s 2nd highest volcano. Serious hikers can climb to the crater’s rim and relax at hot springs around the emerald-green, crater-lake—Segara Anak. From the beaches of Sanur to the top of Mt. Batu, there’s much to explore on this lush island of terraced rice paddies and Hindu temples. Walk or bicycle past farms and visit villages of woodcarvers, silversmiths and painters. Or simply relax and unwind at one of the many wellness resorts. 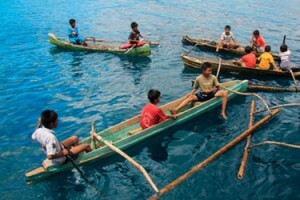 Java is the world’s most populous island, and home to the Indonesian capital of Jakarta. Highlights to any visit there include the Sultan’s Palace at Yogyakarta, and the 1,200-year-old temple site of Borobudur, the largest Buddhist monument in the world. Explore jungle rivers that serve as highways into the dense interior of Borneo and learn what life is like today for the Dayak tribes—who were traditionally headhunters—and still live communally in longhouses along the rivers. 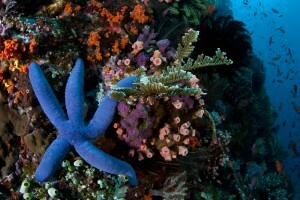 The temperature varies little in the coastal areas with a range of 80˚ to 96˚ year round. 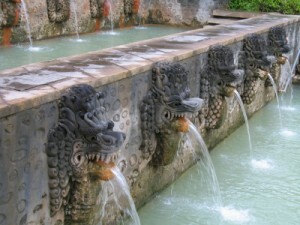 In the mountainous higher elevations it’s cooler but never too cold, making Indonesia a good place to visit year round. The seasons vary between wet and dry, with the dry (high) season lasting from May to September. If you’re looking to escape a North American winter and don’t mind tropical downpours, October – April is a low-cost time to visit.